Earlier this month at LA CoMotion (more to come on that, btw), Woods Bagot — Australia’s pre-eminent architecture firm — unveiled “More LA,” their remarkable study of Los Angeles’ 101 square miles of parking lots and what to do with them. Using a remarkable tool — play with it here — to test how converting parking to housing or parks would alter the city, its architects also produced gorgeous renderings of what those plots could be. I was fortunate to moderate a panel during the launch of More LA at LA CoMotion, as well as participate in a workshop further exploring how these visions could be realized. You can download the pamphlet describing the project here. Watch this space for more More LA soon. » Folllow me on Twitter. 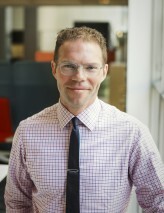 Greg Lindsay is a journalist, urbanist, futurist, and speaker. He is a senior fellow at NewCities and the director of strategy of its offshoot LA CoMotion — an annual urban mobility festival in the Arts District of Los Angeles. He is also a non-resident senior fellow of The Atlantic Council’s Foresight, Strategy, and Risks Initiative, a visiting scholar at New York University’s Rudin Center for Transportation Policy & Management, and co-author of Aerotropolis: The Way We’ll Live Next. He is also a partner at FutureMap, a geo-strategic advisory firm based in Singapore, and is urbanist-in-residence at URBAN-X — BMW MINI’s urban tech accelerator. Can the World’s Worst Traffic Problem Be Solved?